Fancy a holiday with yoga? Yoga holidays are a trend picking up among Chennaiites, where you can intersperse your love for wanderlust with yoga practices! Aine and team at Maldives. With yoga holidays becoming a trend now, coupled with World Yoga Day coming up next week, expat entrepreneur in the city, Aine Edwards, talks about organising a unique trip — a yoga retreat from Chennai to Ireland, where she teams up with her dad, Liam Edwards. Though planned for September, Aine has already chalked out the itinerary. “When you think of holidays, what comes to your mind is seeing different places, trying out the cuisine, interacting with locals, et al. But no one thinks of a yoga holiday!” exclaims Aine. Two years ago, when she worked as a scuba instructor in Maldives, Aine organised a yoga holiday to the island country. “While I was working, I realised that though people are holidaying, they are not enjoying the vacation to the fullest. That sparked off an idea in me to combine vacations with complete mind-relaxation techniques. 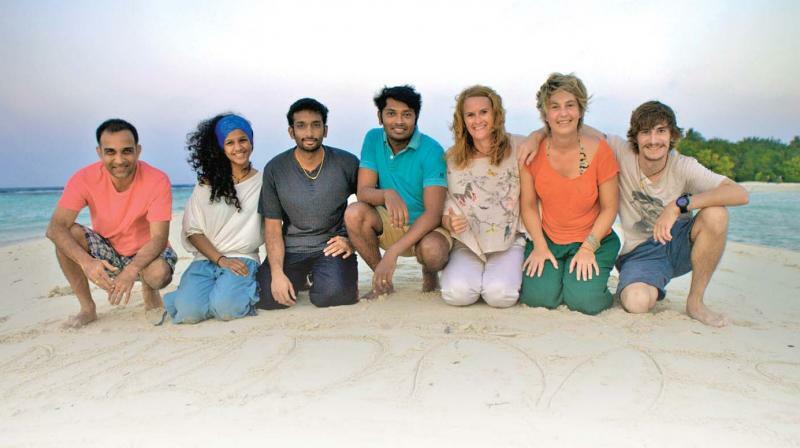 Since I am passionate about yoga, I organised a trip with six people who came on board,” she reminisces. The yoga holiday will be in September, for a group of 10, including yoga teacher, Shantala T. Medappa, from Coorg. “I have chalked out the 10-day holiday itinerary. The first two days in Cork, next two in Dublin, and a six-day yoga retreat at an Irish country,” Aine concludes. The father-daughter duo has already started planning on doing another yoga holiday in Maldives in 2018.